Editor’s note: This is the third of a series of stories looking at how climate change affects the Great Lakes region. For climate change experts, it’s a world of “ifs” when trying to predict what will happen to the waters of the Great Lakes. And while there are some educated guesses out there, not much can be said for certain. “One thing that we do know about projections for the future is all of them, and there are no exceptions, all of them call for warmer mean temperatures,” said Jeffrey Andresen, Michigan’s state climatologist and a geography professor at Michigan State University. Now there’s a lot to take away from warmer mean temperatures projections, but again, few things are certain. Unlike the ocean’s sea levels rising due to melting ice caps, the Great Lakes’ water levels could be lower. Warmer winters mean less ice cover. That means more evaporation. And more evaporation could produce lower water levels. While past predictions estimated increased evaporation equals decreased water levels, there has been less evaporation than expected, according to a recent report. “We’re not getting as much evaporation as you would expect given the lower ice cover and the warmer water temperatures because we’ve also had moderate air temperatures,” Drew Gronewold, a physical scientist at Great Lakes Environmental Research Laboratory, said in the report. Even with uncertainty about what to expect, this is one of the easier scenarios to understand. That’s a simple cause-effect process scientists can interpret. 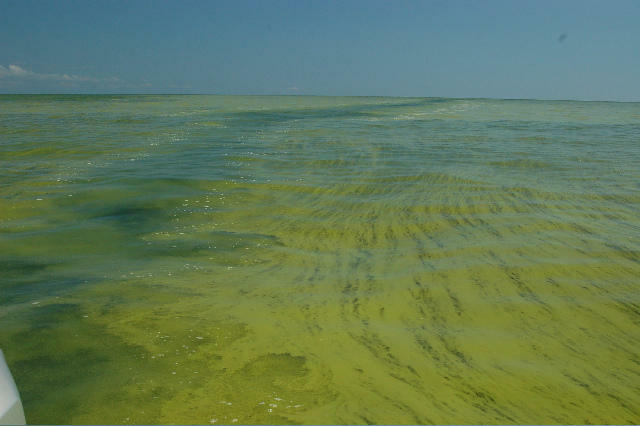 Here’s a harder one: How are algae blooms that happen when nutrient overloading causes freshwater vegetation to grow out of control impacted by climate change? A warmer climate is conducive to more of these harmful blooms, according to the National Oceanic and Atmospheric Administration. Andresen expects relatively more warming in the winter than warming in the summer. That means a chance for more rain or snow during months that precede spring. That means more nutrients from livestock, farm fields and urban streets that can run into lakes. And all those extra nutrients can fuel the growth of algae. “If you have a changing precipitation pattern, leading to more rain and runoff, that will all potentially increase blooms of greater size that last longer and potentially be more toxic,” said Tim Davis, another researcher with the Great Lakes Environmental Research Laboratory. And that’s not good. The worst algal bloom in Lake Erie in over a decade occurred in October 2011. Photos from NASA show the view from space. The event created enough concern that half a million people were told to avoid using their tap water. Both Davis and Vanderploeg say that how much algae shows up is dictated by when nutrients are washed into the lake. With heavier runoff due to storms in the spring, there will be more harmful algae blooms later in the summer. “We know that we can’t continue on the course that we’re on or else these blooms are going to continue and get worse, and that’s not good for anybody in the region,” Davis said. Such concerns have prompted policy decisions. The Great Lakes Water Quality Agreement calls for a 40 percent reduction of phosphorus, one of the culprits in surface runoff, by 2025. If globally and regional warming us certain, then we should not get list in the uncertainty of the degree in effects. The measures to be taken are to demand and force action to reduce the degree of warming, and reduce phosphorous and nutrient loading. The IJC correctly urged implementation of public trust in navigable waters, and so we must work back upstream and into watersheds to conform behavior to prevent impairments like algal blooms. Two words……”STALLED CONVEYOR ” are what matter most to the Lower Great Lakes. Google “Joe Barrett ice boom ” for the truth.